Hundreds of students across Philadelphia and the region, ranging from 4th–12th grade, will converge on Central High School Feb. 7 for the city-wide robotics championship match. The teams will compete in the 2015 FIRST Tech Challenge, “Cascade Effect.” In this exciting game, 15 teams will face off against each other in an alliance format. Winners of the FTC Philadelphia Championship will advance to the State Championship — and finally to the World Championship. Other awards include the PTC Design Award, the Winning Alliance Award, and the Finalist Alliance Award. For weeks prior to the championship, robotics teams have been hard at work designing, building, and programming their robots from scratch. The game, “Cascade Effect,” is quite challenging, requiring teams to strategize in order to score the most amount of points. Teams have spent hours after school strategizing and creating a robot fit to compete. Central High School’s RoboLancers hosted last year’s FTC Philadelphia Championship with hundreds of people in attendance to support their favorite robotics teams. Crowds are expected to be even larger this year. The robots are remotely operated and are constructed by students using robotics system kits with basic tools and equipment utilizing professional mechanical techniques and creativity. “Cascade Effect” involves 160 white plastic balls with robots seeking to score points by placing the balls into rolling goals. The team with the most amount of points advances to the next round. FIRST (For the Inspiration and Recognition of Science and Technology) is an organization founded by Dean Kamen which seeks to inspire students from K-12th grade to pursue and lead STEM (Science, Technology, Engineering, Mathematics) fields. Competitions such as FRC (FIRST Robotics Competition), FTC (FIRST Tech Challenge), and FLL (FIRST Lego League) blends the engagement of science and technology and the value of teamwork through friendly competitions with other FIRST teams while giving students rewarding experiences that follow them to whatever field they choose to pursue. 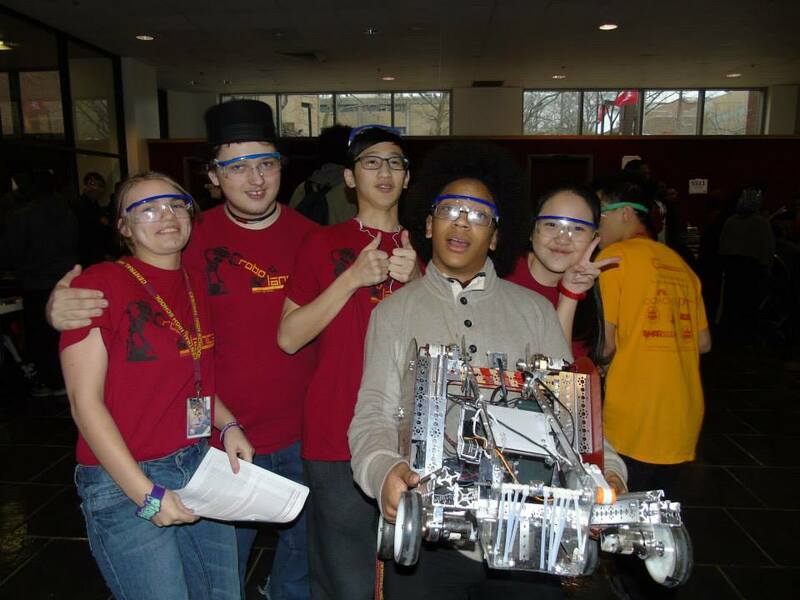 The Central High School RoboLancers is a FIRST Robotics Team founded in 1999 originally starting with a small classroom of students and now has grown to over 100 active members. The RoboLancers have participated in robotics events at multiple levels and have helped mentor many teams across the Philadelphia region, such as Girls High School, Independence Charter School, and Martin Luther King High School to raise awareness for the need of STEM education and occupations within Philadelphia and around the world. The RoboLancers have won many awards such as the Engineering Inspiration Award and have traveled to the 2013 FIRST World Championship in St. Louis, Missouri. Special thanks to our wonderful sponsors: The Associated Alumni of Central High School, The Central High School Home and School Association, PTC, McKean, Comcast, Ignite Philly, Bresslergroup, Johnsonville, and P’unk Avenue.